How many Baby Songs Can you Name? How many Baby Animals Can you Name? Who knows Mommy and Daddy Best? Who knows the Daddy Best? Who knows the Mommy Best? What do you love about mom to be? Baby will look like whom game? This is a fun word game that I have created for the baby shower party. 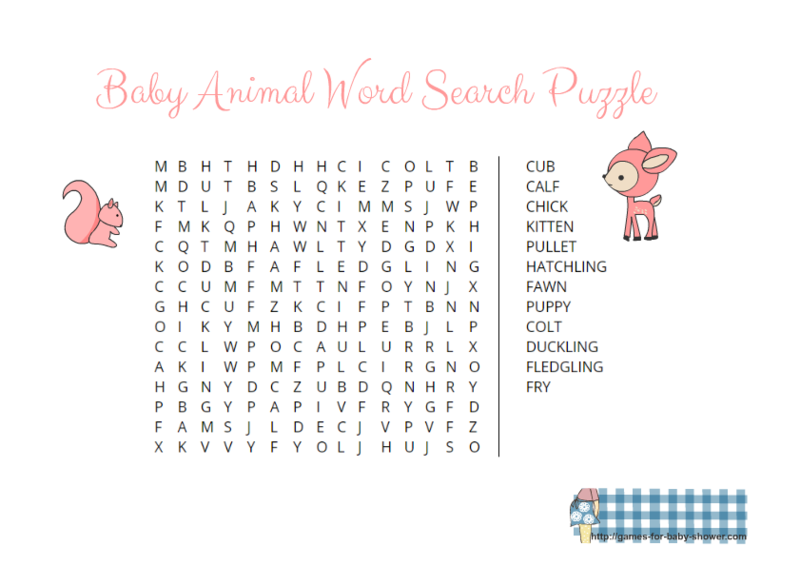 On this page you will find Free Printable Baby Animal Word Search Puzzle in three different colors. This game is a perfect choice for zoo, safari, woodland or jungle themed baby showers. You can also print it and play it at any other baby shower. How to Play: Give these game cards to your guests with a pencil and pen and ask them to find and circle the names of baby animals in this puzzle. They can find the words diagonally too. 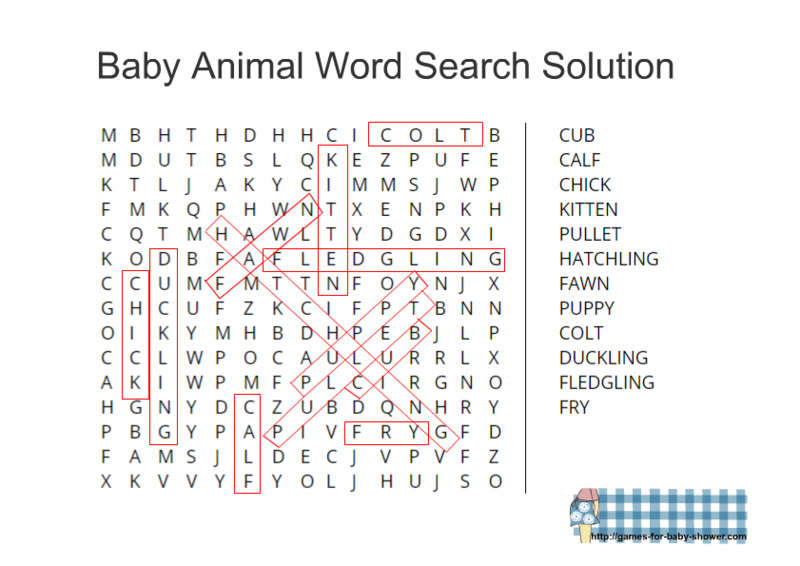 The person who finds all the baby animals first, will be the winner. 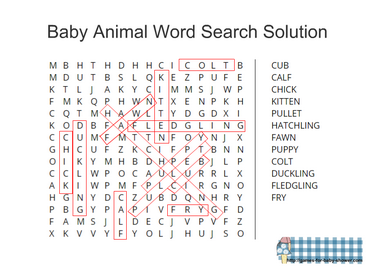 Here is an adorable baby animal word search puzzle for boy baby shower. This adorable game card is decorated with images of a cute deer and a squirrel. You can print this puzzle on any A4 size white paper. This is another adorable color for this cute baby shower game. This pink game card is decorated with a cute baby deer and small little squirrel. Just click on this thumbnail image and a bigger image will open up, you can right click and save that. Here is another gender-neutral green color for this baby animal word search game. All the graphics that I have used in my games are original and created by me. I am pretty sure that your guests will love these games and will also love the graphics. 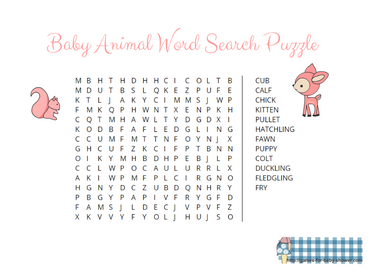 Here is a free printable solution for thus baby animal word search puzzle.